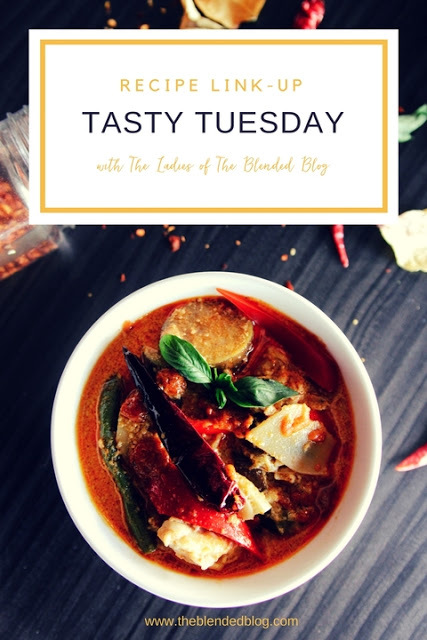 Keeping with the theme of my last post for Tasty Tuesday, let's look into my kitchen today at three recipes I've tried from my favourite magazine, Chatelaine and one that comes straight from the family archives. I need to perfect the art of not burning the crust and eventually I'll grill my own handmade pizza shells and not store bought ones. I love the smokey taste that the BBQ gives pizzas, and corn for that matter too! These recipes will definitely go on repeat on our summer menu. I didn't have avocado so I used tomato instead. And I sillily used turkey bacon instead of the real deal. Turkey bacon has now been outlawed from the kitchen, I don't care how few calories it has, we're officially a wholehoghousehold. I also grilled some tortilla shells with garlic butter as a fun side. This salad was good but I imagine would be a whole lot greater with real bacon. Beef Kebab recipes here and here. I was surprised at how much the kids loved this, considering one of the spices in the meat is cumin. They devoured their meat on a stick and had some fun eating too (and by fun I mean sword fighting). I added Dal Bukhara to this meal because it's always yummy to have something spice to soak up with naan. This recipe will be on repeat this summer. Next thing I need to learn how to make is my own naan. This is my mom's recipe, not my Grandma's, but it's quite close. She made me this recipe book when I moved out to Quebec for university. Move over Coronas, this is definitely going to be my go-to drink this summer. I need to perfect my recipe too. Nothing beats asparagus from the garden as a garnish! Link up your food posts today!